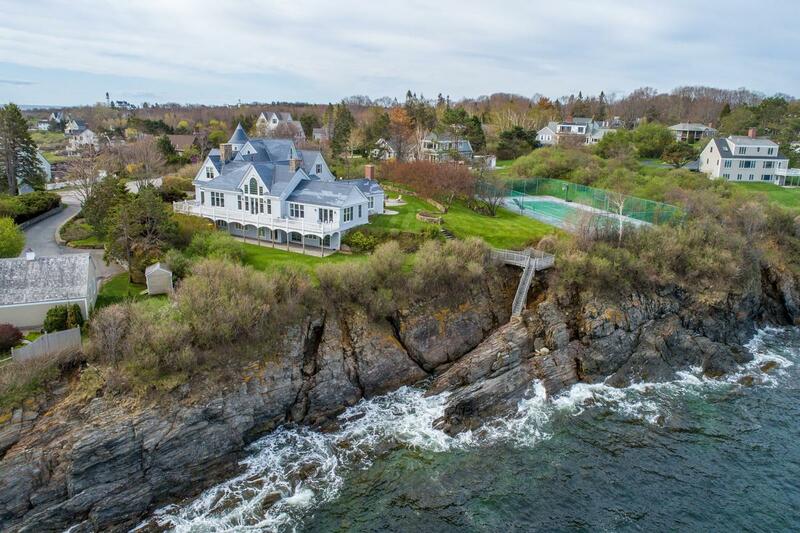 Dramatically set on a craggy bluff, this five-bedroom estate on 1.8 acres provides panoramic views of Broad Cove and the Atlantic Ocean. The house resonates with the pleasures of living at the seashore. 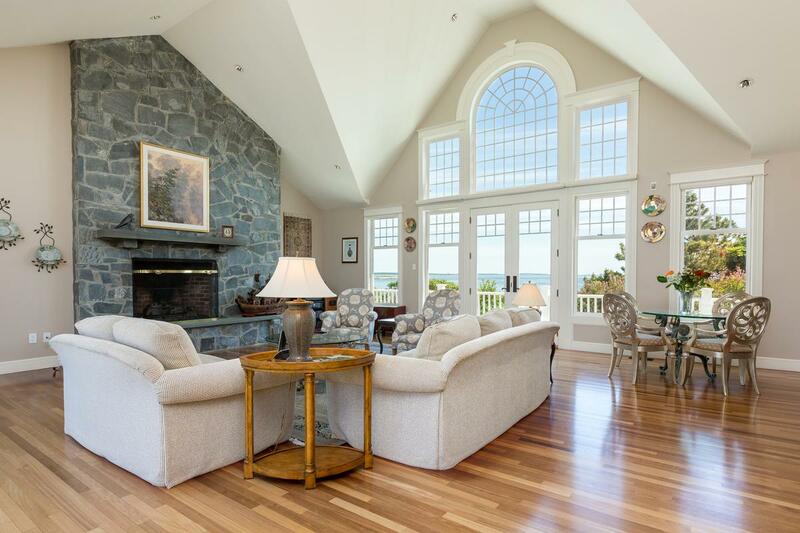 Large windows frame the ocean views while a fireplace provides comfort on chilly nights. 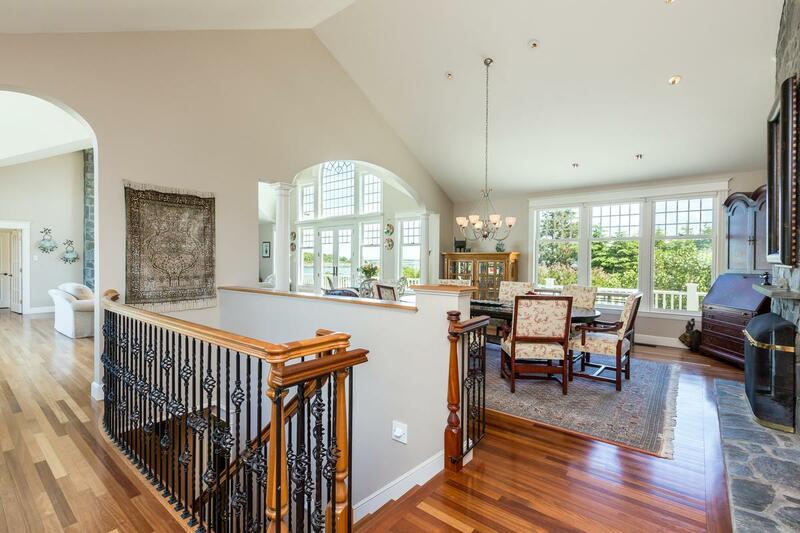 With more than 6,000 square feet of luxury living space, this home is well-designed for multi-generation living. Large, comfortable gathering spaces, perfect for casual entertainment, are coupled with cozy, intimate areas for quiet enjoyment. 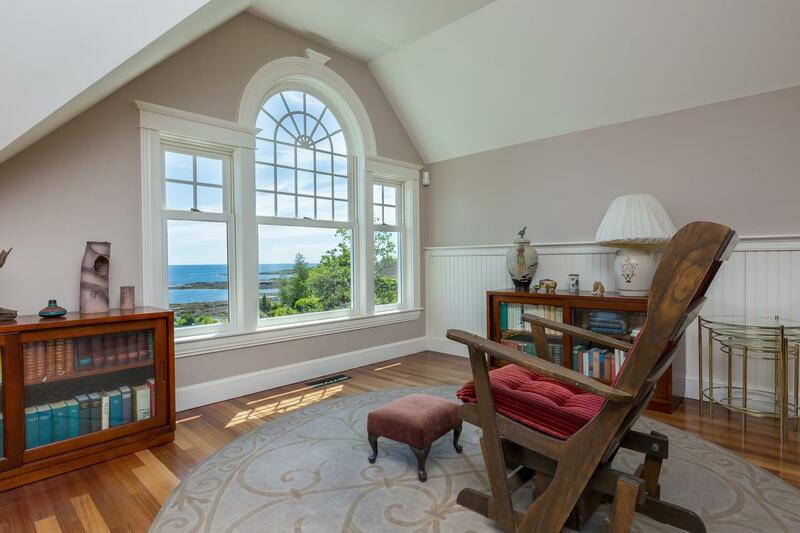 The home’s multiple sitting rooms offering multiple places to watch the everchanging ocean. The property is designed to invite all to enjoy outdoor living. The home curves around gardens, patio and pool to create privacy and sanctuary. 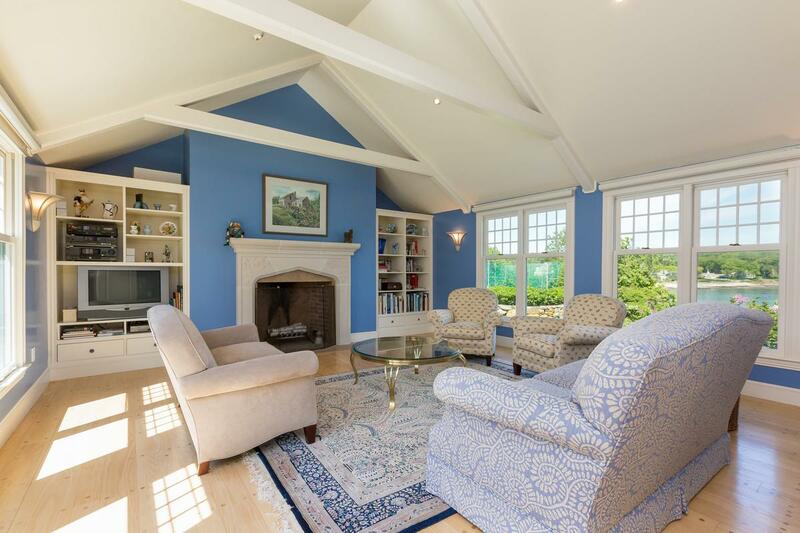 Nearly 2 acres include beautifully manicured grounds, patio and hardscaping, heated and lighted Gunite swimming pool, tennis court and observation deck. Just minutes from intown Portland, 3 Hunts Point Road is engineered to support a busy lifestyle. 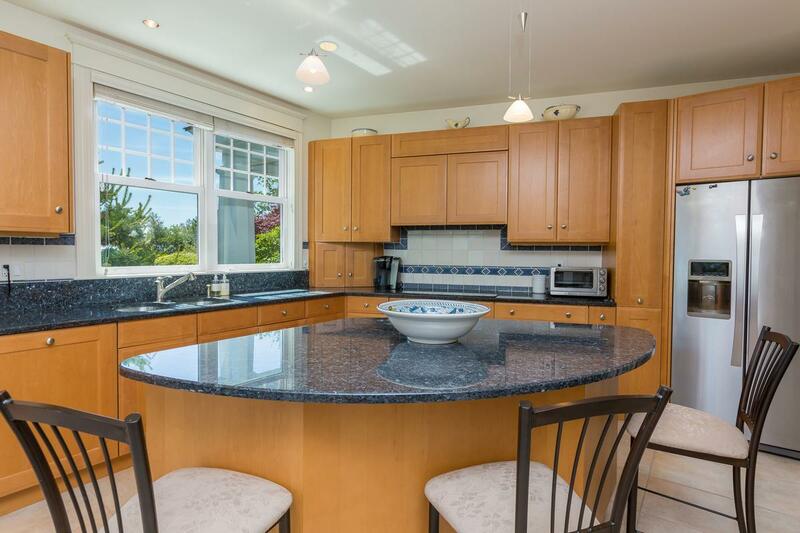 The house is well-equipped with central air, security, automatic lighting, and irrigation system, and includes a whole house, on- demand generator. 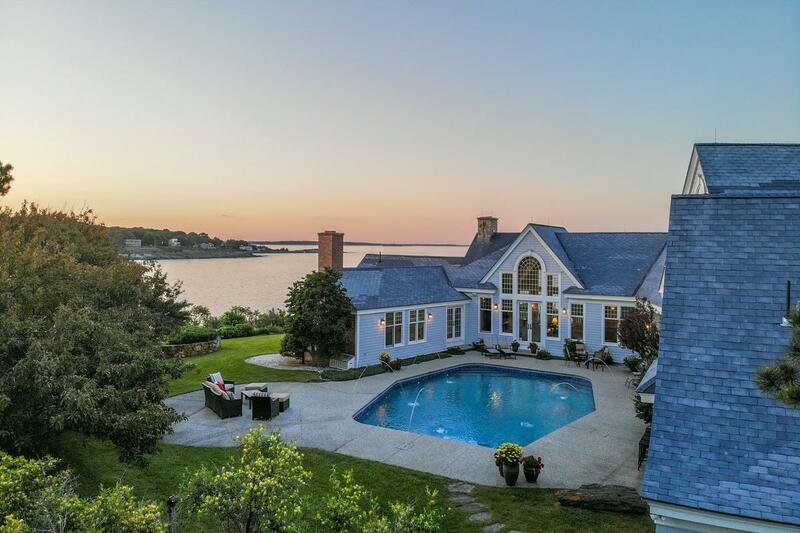 This home is listed for $3.195 million with Town and Shore Associates, an affiliate of Luxury Portfolio International.